Published in Sky and Telescope (September 2003--cover story). Every chemical element on Earth tells a story written in the heavens. The nitrogen in our atmosphere and in your body's proteins blossomed in stars somewhat heavier than the Sun, such as Capella, which cast their outer layers away as planetary nebulae when they died. The oxygen you breathe and the neon gas in storefront lights were cooked up in massive stars like Antares, which later spewed these elements into the Galaxy by exploding as supernovae. And supernova explosions themselves forged most of the iron in your blood and the gold in your ring. One element, however, abounds in mystery: fluorine. Although fluorine seems familiar--it's in toothpaste and fluoridated water, as well as in the beautiful mineral fluorite--no one knows how it arose. According to one intriguing idea, fluorine owes its existence to neutrinos, the ghostly particles that shoot through us every second from the core of the Sun. A competing idea holds that the element originates when red giants fuse nitrogen, while another theory maintains that massive blue stars that have blown off their outer layers--Wolf-Rayet stars--do the trick. Astronomically and chemically, fluorine (atomic number 9, for 9 protons in its nucleus) stands apart. For one thing, it's rare. Rank the elements by their cosmic abundances: its neighbors--carbon (atomic number 6), nitrogen (7), oxygen (8), and neon (10)--all make the top six, right after hydrogen and helium. But fluorine doesn't even appear in the top twenty. It's like a shack stuck between mansions. Fluorine's scarcity offers astronomers a vital clue--and a possible opportunity. The clue is simple: whatever makes fluorine doesn't make much. Indeed, the nuclear reactions by which stars churn out so much carbon, nitrogen, oxygen, and neon must largely bypass the element. And that, in turn, means fluorine's very existence may probe hitherto unknown nucleosynthetic processes. "The rarest isotopes can actually be diagnostics of some very interesting physics," says Stan E. Woosley (University of California, Santa Cruz), "because they take special circumstances to make. It's very easy to make iron, for example; but it turns out to be very hard to make fluorine." As a result, the little fluorine born in exotic processes doesn't get swamped by huge quantities created elsewhere. Fluorine is the element most spectroscopists have never seen. Because of its rarity, the few spectral lines it produces are weak. Although the Milky Way Galaxy abounds with 100 billion stars or more, astronomers have seen the element in fewer than 100 of them. Even to chemists, fluorine stands apart as the most reactive of all the elements. It's so hyperactive that it coaxes such unsociable atoms as krypton and xenon--both noble gases--into making molecules. When paired with hydrogen, it becomes hydrofluoric acid (HF), a substance so corrosive that it will dissolve the test tube that holds it. Fluorine is a so-called halogen, occupying the periodic table's seventh column, along with chlorine, bromine, iodine, and astatine. To a nuclear scientist, fluorine is fragile. Unlike most elements it has only one stable isotope, fluorine-19. Although stars normally manufacture elements, they typically destroy the little fluorine they inherit. That's because their most common elements, hydrogen and helium, annihilate it. In a star's hot interior, hydrogen nuclei--protons--split fluorine into oxygen and helium, while helium-4 nuclei convert it into neon. Thus, any fluorine that manages to arise faces a universe stacked against it. In 1988 Woosley and University of Washington physicist Wick C. Haxton suggested a way around this problem. They proposed that fluorine can be both created and saved by supernovae. The stellar explosions fling the fluorine into space fast enough to protect it from the elements that would destroy it. In a 2002 paper, Woosley and others declared that neutrinos in supernovae probably make most of the universe's fluorine. If so, the fluorine in your toothpaste wouldn't exist without phantom particles that pass through almost anything. When a massive star like Antares goes supernova, 1058 neutrinos storm through the exploding star. Although neutrinos are normally harmless--trillions of solar neutrinos pass through us each second--supernova-born neutrinos carry so much energy and blow through such a dense medium that 1 in 200 of these normally ghostly particles interact with matter outside the newborn neutron star. If such a supernova happened at the Sun's position, the neutrino burst alone would kill us. Such an interaction, wrote Woosley and Haxton, produces fluorine. Before it explodes, a massive star creates an enormous store of neon-20, which has 10 protons and 10 neutrons. During the explosion the neutrinos race through the star's neon layer, and some knock off a proton to make fluorine-19 or remove a neutron to make radioactive neon-19, which decays into fluorine-19. Either way, fluorine is born. Unfortunately, no one has ever observed fluorine in a supernova or supernova remnant, so the neutrino-process remains speculative. In 1992 three astronomers did report the discovery of fluorine--not in supernovae, but in dozens of red-giant stars. Says Alain Jorissen (Free University of Brussels), "That was one of these few moments in a career when you think, `Wow--that's really great,' because theory meets observations, and without any trigger from one or the other." While completing his thesis in Belgium, Jorissen developed a theory for fluorine's production, without knowing that two Texas astronomers had already confirmed it. At a conference in Indiana, Jorissen bumped into David L. Lambert (University of Texas, Austin). Lambert told Jorissen that he and Verne V. Smith (University of Texas, El Paso), while studying other elements in giant stars, had accidentally detected the infrared signature of hydrogen fluoride (HF). Up to that time fluorine had been seen only in the Sun, Venus, Betelgeuse, the interstellar medium, cosmic rays, the envelope of a carbon star, and a planetary nebula or two. Before long the astronomers had measured the fluorine abundance in 65 giant stars. Some of the stars were ordinary giants, such as K-type Arcturus in Bootes and M-type Mirach in Andromeda. And most of the K and M stars had fluorine abundances that roughly matched the Sun's. The story changed dramatically, though, when the astronomers scrutinized the carbon stars. They all had more fluorine than the Sun--up to 65 times more, indicating that the stars created the fluorine themselves, just as Jorissen's thesis predicted. The discovery caused Grant J. Mathews (University of Notre Dame) to wax alliterative in the pages of Nature: "[F]luorine is probably formed in the frequent furious fusion flashes of an inflated florid star." The responsible party is a so-called asymptotic giant branch star, which powers itself by two fusion reactions. The first, which occurs in an outer shell, converts hydrogen into helium via the CNO cycle, whereby carbon, nitrogen, and oxygen catalyze the hydrogen-to-helium reaction. The CNO cycle also converts carbon and oxygen into nitrogen-14. The second fusion reaction occurs sporadically in a shell deeper inside the star, where the ash of hydrogen burning--helium--gets transformed into carbon. Helium-shell burning is unstable. When the helium shell ignites, it produces so much heat that the reaction causes a nuclear runaway, known as a helium-shell flash. When the reaction is over, convection in the star's outer envelope dredges the carbon up to the star's surface, changing a normal giant into a carbon star. The same dredge-up also lifts fluorine to the surface. Because the hydrogen-burning CNO cycle produced nitrogen-14, this element is mixed with the helium ash. Once it's there, reactions during the helium-shell flash can transform it into fluorine-19 (see box). Normally that fluorine wouldn't stand a chance--it's surrounded by fluorine-fleecing helium nuclei apt to destroy it--but in this case the fluorine is forged faster than the helium can eliminate it and gets raised into the star's cooler upper levels. So when the star dies, it launches its fluorine-enriched atmosphere into space by way of a beautiful planetary nebula. The progenitors of the Milky Way's red giants were born with between about 1 and 8 solar masses. (More massive stars become supergiants, rather than giants, and explode as supernovae.) The lesser giants--those less than 4 Suns--actually produce the most fluorine, because the helium-shell flashes in more massive giants get too hot and may destroy more fluorine than they create. The few observations of fluorine in planetary nebulae support this mass-dependent trend. In 1997 Xiao-wei Liu (Peking University) found a fairly high abundance of fluorine in the planetary nebula NGC 4361 in Corvus. Its progenitor probably had between 1 and 2 times solar masses. Earlier, astronomers had detected high fluorine levels in the envelope around the mass-losing carbon star CW Leonis, whose mass is between 1.5 and 4 Suns. But in 2001 Jaime L. Highberger (University of Arizona) and her colleagues reported a much lower fluorine abundance in the Egg Nebula, a planetary-nebula-to-be that arose from a star about seven times as massive as the Sun. The astronomers suggest that the Egg Nebula's lower fluorine abundance may be due to its progenitor's greater mass. Meanwhile, Georges Meynet (Geneva Observatory) and Marcel Arnould (Free University of Brussels) have advised fluorine seekers to look not to red stars but to blue ones known as Wolf-Rayet stars. These originate from the most massive O-type main-sequence stars. As a typical O star evolves, it expands, which causes its surface to cool until the star swells into a red supergiant like Antares. However, the brightest O stars--those born with masses over 40 Suns--shine so intensely that their light blows their hydrogen envelopes into space. As a result the star stays hot and blue, becoming a Wolf-Rayet star that unveils the elements it has manufactured beneath its blown-off surface. One of those elements is nitrogen-14, which the star produces while burning hydrogen into helium via the CNO cycle. When the star ignites its helium core, some of the nitrogen-14 gets converted into fluorine-19 through the same nuclear reactions that occur in red giants. Normally this fluorine wouldn't do any good because as helium-burning progresses, the temperature rises, causing helium to bombard the fluorine and convert it into neon. In a Wolf-Rayet star, however, the fluorine may meet a happier end. "The wind is important," says Meynet, "because it can save the element from destruction." The star's wind spirits the newly minted fluorine into space, rescuing it from the helium that would otherwise destroy it. According to Meynet and Arnould's calculations, Wolf-Rayet winds should possess up to 70 times the Sun's fluorine abundance, making them a major source of the element. Unfortunately, no one has yet found fluorine in a Wolf-Rayet star. New observations now under way may finally pinpoint fluorine's origin among the three competing possibilities of supernovae, red giants, and Wolf-Rayet stars. The trick is to track how fast fluorine formed in the young Milky Way by comparing it with oxygen and iron. Oxygen formed quickly, because it came from massive stars that burned fast and furiously and exploded soon after birth. As a result, the young Galaxy had oxygen, and so do the old, metal-poor stars (those with few elements heavier than hydrogen and helium) that inhabit the Galactic halo. In contrast, iron diffused throughout the Galaxy more slowly, because much of it came from type Ia supernovae, which erupt when white dwarfs explode. Such stars typically require billions of years to develop and then blow up. The three theories for fluorine's production predict different histories of the element and thus different abundance patterns in metal-poor stars. If supernovae from short-lived massive stars produce fluorine via the neutrino process, fluorine entered the Milky Way fast, and halo stars should have some quantity of the element. On the other hand, if red giants produce most of the universe's fluorine, halo stars should have less, because red giants originate from longer-lived stars like the Sun. The Wolf-Rayet theory predicts another pattern--that the Galaxy produced fluorine only after it attained a critical metallicity. That's because metallicity determines whether a Wolf-Rayet star can form in the first place. An O star becomes a Wolf-Rayet star by blowing off its atmosphere; but to do that, its light has to push against metals in the atmosphere. So no metals, no Wolf-Rayet star--and no fluorine. Trouble is, observing fluorine in metal-poor stars is even harder than observing it in "normal" stars, because all three theories predict lower fluorine abundances at low metallicities. Nevertheless, in the September 2003 Astronomical Journal, Katia Cunha (National Observatory, Rio de Janeiro), Verne Smith, David Lambert, and Kenneth H. Hinkle (National Optical Astronomical Observatory, Tucson) report tantalizing observations of hydrogen fluoride in metal-poor stars. Using the 8.1-meter Gemini South telescope in Chile, Cunha and her colleagues obtained fluorine abundances for nine such stars in the Large Magellanic Cloud. The astronomers even detected fluorine in two stars in the globular cluster Omega Centauri that have iron abundances of just 5 and 10 percent solar, indicating great age. By comparing the fluorine abundances with those of oxygen and iron, the astronomers conclude that fluorine originates chiefly in high-mass stars--either when these stars explode and shoot neutrinos through their neon, or via nuclear reactions in Wolf-Rayet stars, or both. Red giants, in contrast, seem to make little contribution. Thus, if neutrinos never interacted with matter and the brightest stars hadn't blown off their outer layers, most fluorine wouldn't exist--and we'd probably have a lot more cavities. Who would have guessed that such exotic processes could save your teeth? Still, Cunha cautions that more observations are needed, especially at the low metallicities that yield such crucial insights. Within a year, she hopes to report the full story behind the fluorine in your toothpaste. 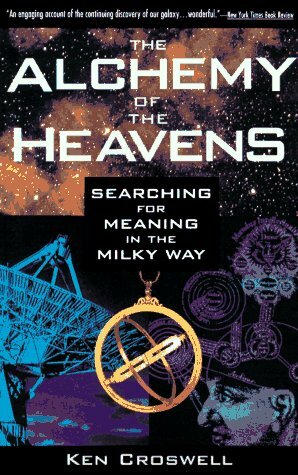 Ken Croswell is a Harvard-trained astronomer whose first book, The Alchemy of the Heavens, traced the origin of the elements and was nominated for a Los Angeles Times Book Prize. 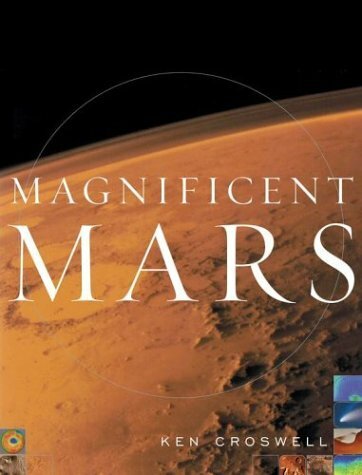 He is also the author of Magnificent Universe. Recently he has written about the origins of carbon and nitrogen. 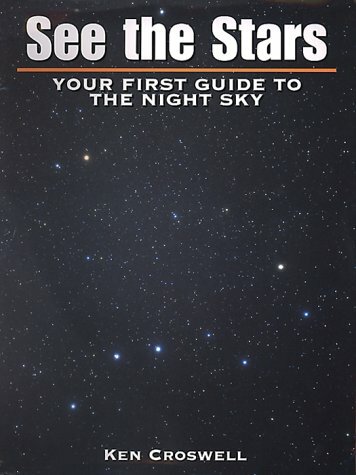 "An engaging account of the continuing discovery of our Galaxy...includes lively, sometimes controversial first-person narratives from scientists who have forged our modern views of the Milky Way." --Owen Gingerich, New York Times Book Review. 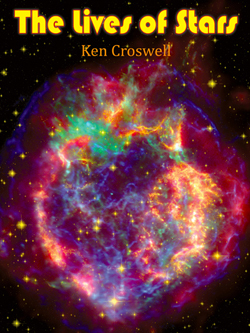 "Ken Croswell's The Alchemy of the Heavens is one of the very best popular astronomy books in decades." --Keay Davidson, San Francisco Examiner. 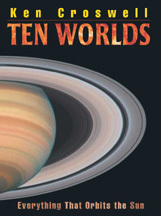 Read all reviews of The Alchemy of the Heavens here. 13C + 4He ---> 16O + neutron. 26Al + neutron ---> 26Mg + proton. 14N + 4He ---> 18F. 18F ---> 18O + positron. 18O + proton ---> 15N + 4He. 15N + 4He ---> 19F. After a helium-shell flash in a red-giant star, the fluorine reaches the star's surface, where cooler temperatures prevent protons or helium-4 from destroying it. A similar sequence in Wolf-Rayet stars can also produce fluorine at the start of helium burning. The star's wind then blows the element into space before the temperature rises enough for the helium to destroy it. In 1980 the Copernicus satellite discovered fluorine in the spectrum of Delta Scorpii. Interstellar fluorine gas between us and this B0 subgiant absorbs particular wavelengths of the star's far-ultraviolet light. In 1997 the Infrared Space Observatory observed a molecular cloud near the Galactic center named Sagittarius B2 and discovered the first--and so far the only--known fluorine-bearing interstellar molecule, hydrogen fluoride. HF is the dominant form of gaseous fluorine between the stars. That's because the most common interstellar molecule, molecular hydrogen (H2), quickly converts F to HF. Unfortunately, most interstellar fluorine is probably solid rather than gaseous--locked in minerals in dust grains that leave no fingerprint on stellar spectra. Woosley, S. E., and Haxton, W. C., 1988. Supernova Neutrinos, Neutral Currents and the Origin of Fluorine. Nature, 334, 45. Woosley, S. E., Heger, A., and Weaver, T. A., 2002. The Evolution and Explosion of Massive Stars. Reviews of Modern Physics, 74, 1015. Mathews, G. J., 1992. Flashing Giants Forge Fluorine. Nature, 359, 18. Goriely, S., and Mowlavi, N., 2000. Neutron-Capture Nucleosynthesis in AGB Stars. Astronomy and Astrophysics, 362, 599. Highberger, J. L., Savage, C., Bieging, J. H., and Ziurys, L. M., 2001. Heavy-Metal Chemistry in Proto-Planetary Nebulae: Detection of MgNC, NaCN, and AlF Toward CRL 2688. Astrophysical Journal, 562, 790. Meynet, G., and Arnould, M., 1993. Synthesis of 19F in the He-Burning Zones of Massive Stars. 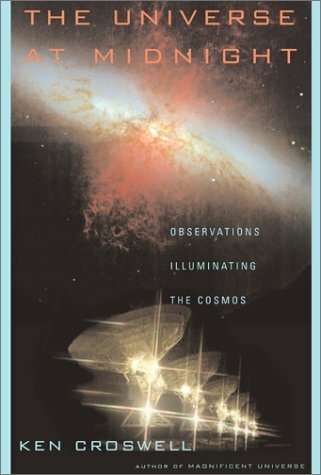 In Nuclei in the Cosmos, edited by F. Kappeler and K. Wisshak (Bristol: Institute of Physics Publishing), p. 503.
favor Wolf-Rayet stars and/or supernovae as the originators of most fluorine. Zhu, C., Krems, R., Dalgarno, A., and Balakrishnan, N., 2002. Chemistry of Hydrogen Fluoride in the Interstellar Medium. Astrophysical Journal, 577, 795.